You can manage every employee/user and assign user rights. You decide, what data can be edited by which employee. When you start a new project with TimeTrack, the project is visible for all employees (except external workers). If you use the function ”project visibility”, you can define project members. Employees can become members if you assign them to the project. Only the project members have access to it. The other employees can not see it. 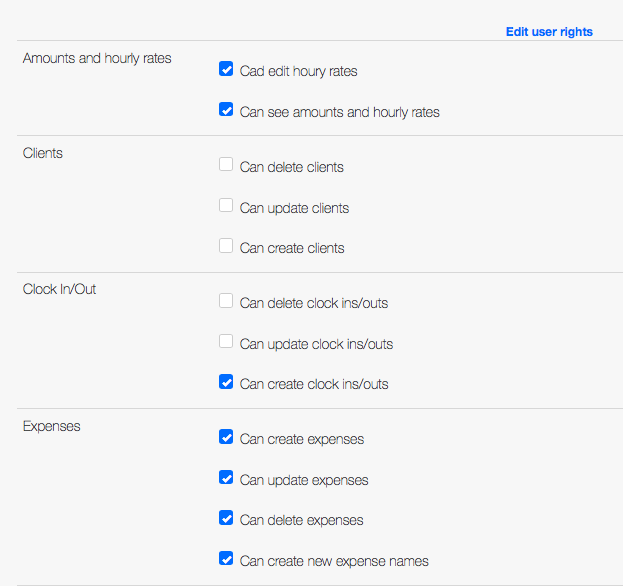 TimeTrack offers more than 50 user rights, that can be assigned. You have control over the visibility of your projects and you can even start a ”hidden project”.